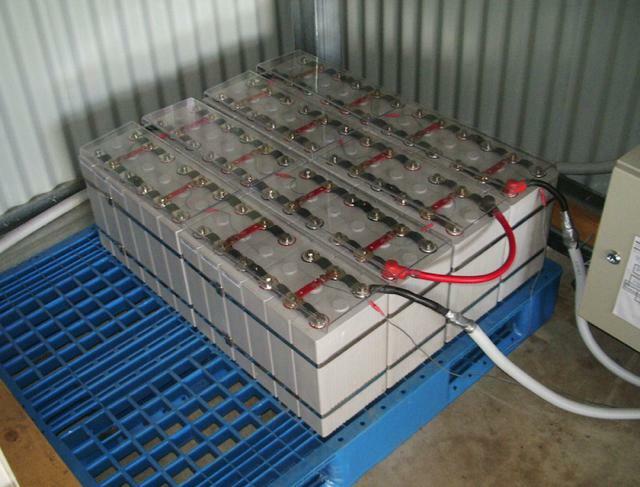 EV Power Australia Pty Ltd specializes in Lithium Ion (LFP,NCM) batteries and electric traction drive systems. We have completed a number of projects over a 10 year period. 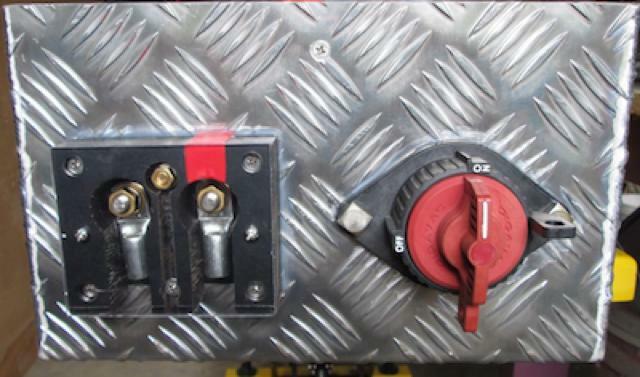 An engineered solution for a marine customer requiring 10kW++ power output at 51V using a 12V continuous trickle input. 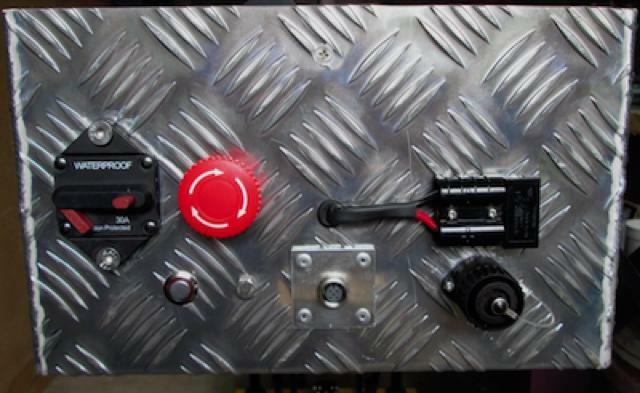 We designed and manufactured the entire unit in-house complete with DC-DC up converter, battery management and CANbus interface. June 2016 – 200kg with full battery management system. 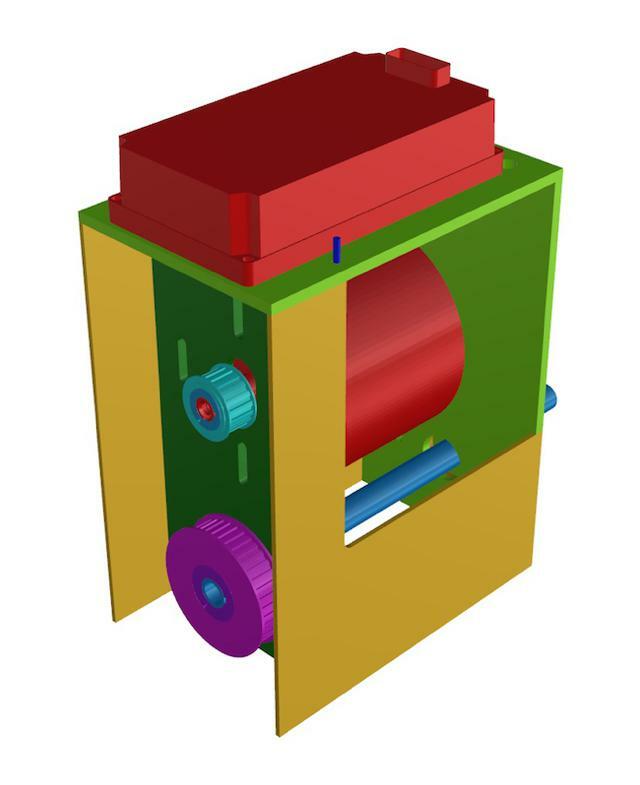 We are doing some work to design a marine drive unit with selectable ratios for use with Motenergy motors and Sevcon controllers. It features seemless transition from Forward to Reverse as well as Valet Mode and regeneration charge under sail. Version 1. 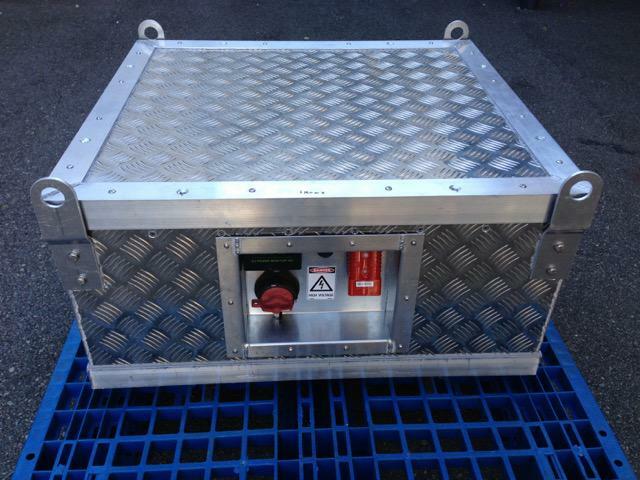 The EV Power team engineered and fabricated this 350VDC 62kWhr battery pack for a commercial customer. 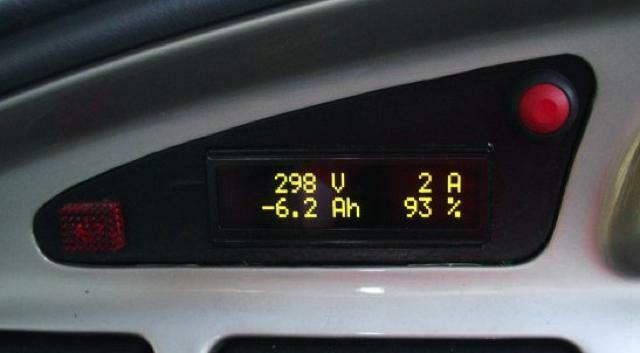 It has an integrated 4kW charger and BMS with CANbus communications. It is also liquid cooled and features finger proof connectors. After 12 months continuous testing our “EV Power Tower” grid free solar storage system has developed with 25kWhr of storage. 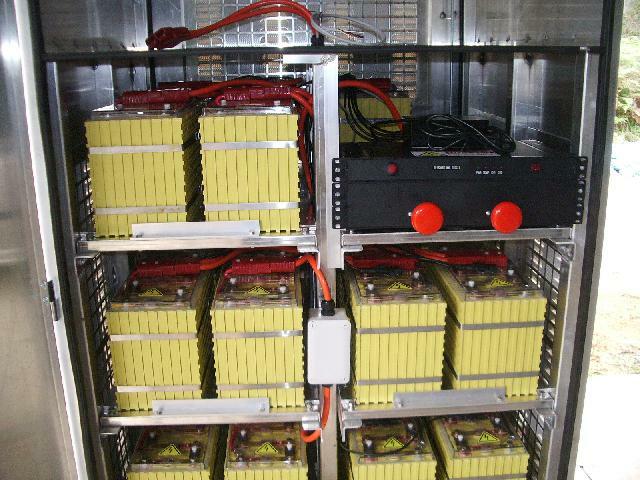 We use a 5kW inverter but the Lithium BMS is inverter independent so almost any model can be chosen. Grid Free – The Sky is the Limit ! After some weeks of design and construction we wheeled out an electric racing kart just in time for the annual WA Electrikhana. Running 80V nominal into a Sevcon Size 2 controller mated to a ME1114 motor with belt drive to the rear axle. Headway 24S1P 15Ah battery pack delivered 120A+ with no fuss. 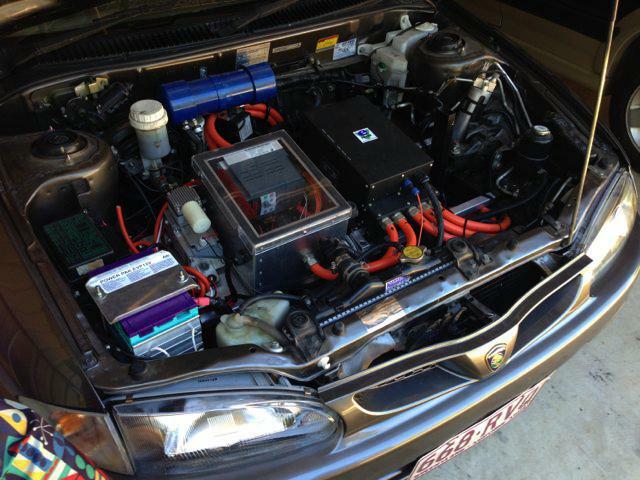 EV Power 12S BMS. Designed with right foot throttle and left foot regen braking it has a serious turn of speed even though it was only roughly tuned. The mechanical brake was never really activated so good was the regen. 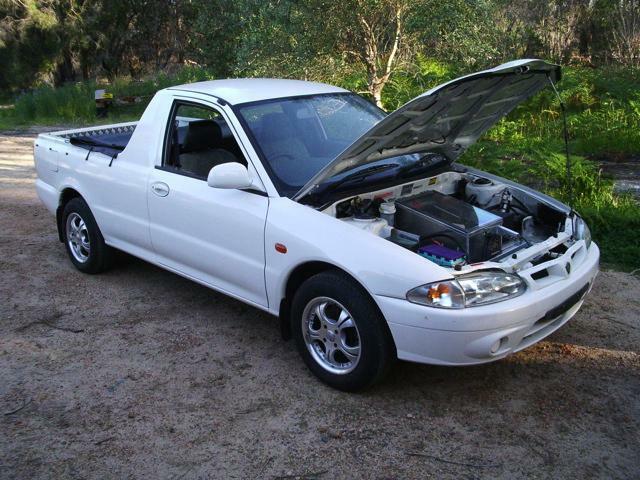 We recently completed our third and by far the best Proton Jumbuck to EV conversion. 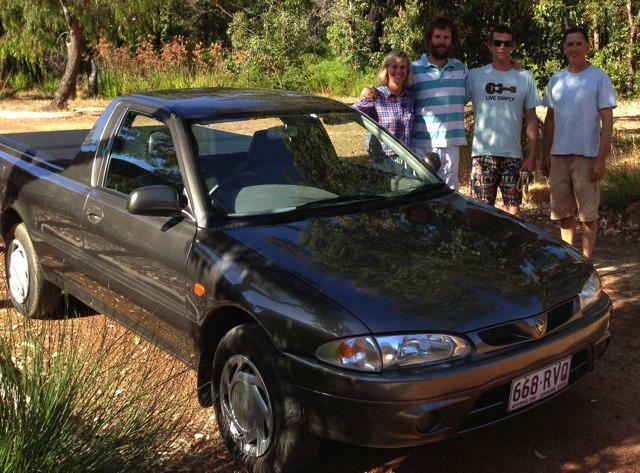 Lucinda and Simon routinely drive 150km+ on a charge. AC motor with regen braking, 29kWhr battery. Fully licensed and street legal. Another first! 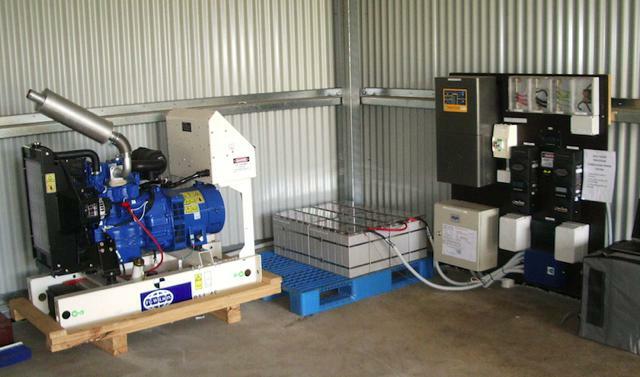 Simon and Kylie Lucas have installed an off-grid domestic power system in South West WA. 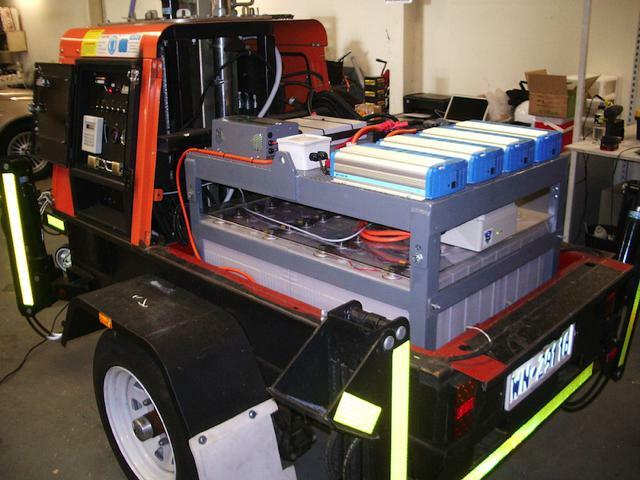 We are reliably informed this is the first CEC approved Lithium battery powered system of its type in WA. 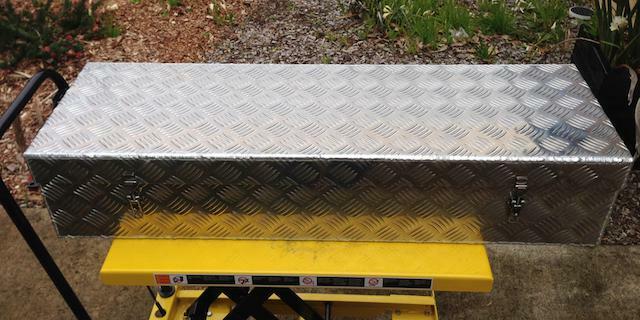 EV Power supplied and installed the 48V 27kWhr battery pack which is notable for its small footprint, light weight, low maintenance and simplicity of installation. 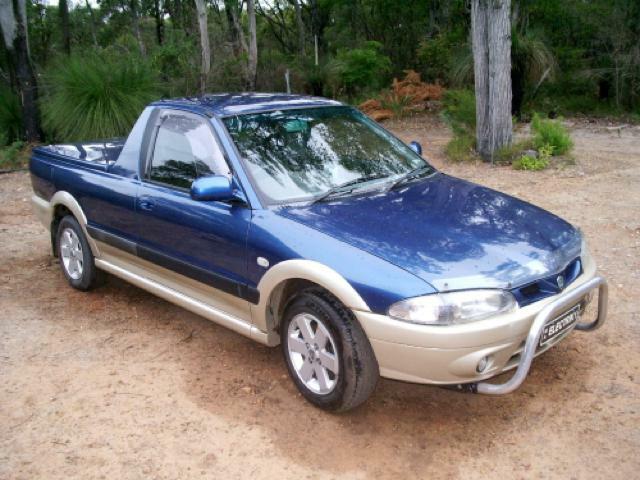 The solar installers could not believe their eyes when the pack was delivered in the back of an electric ute, a Lead Acid battery would need a truck! A 7kW inverter is installed and 9kW of Solar panels also supplied by EV Power. 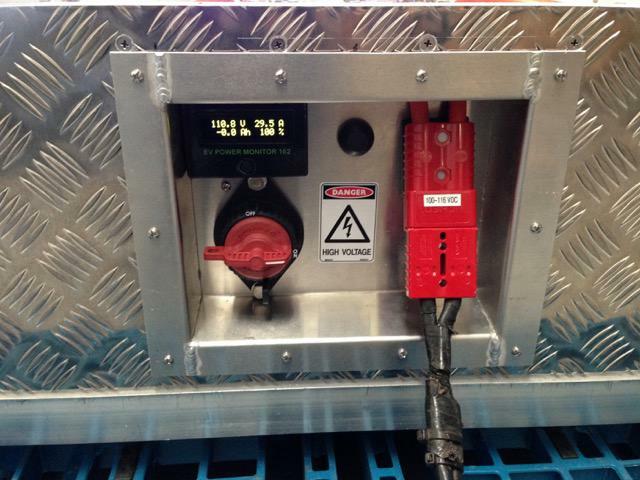 We installed a 12V 2000Ah battery pack with chargers in a CCTV camera trailer. 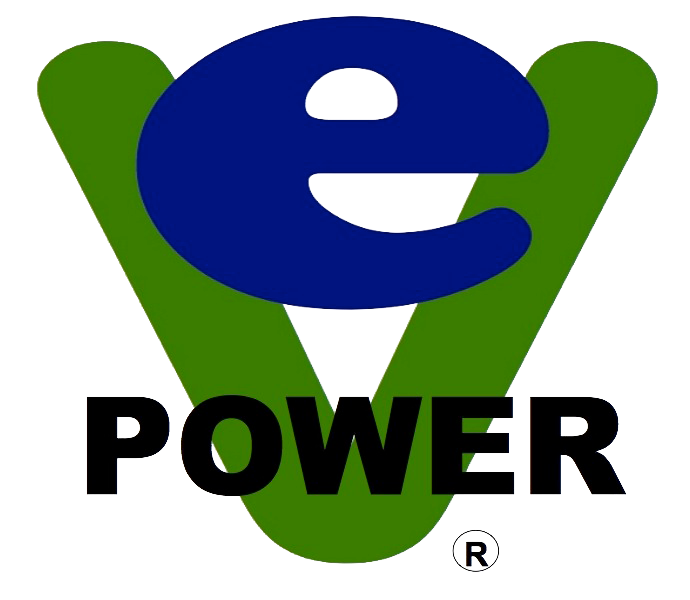 EV Power recently delivered battery packs for a large industrial Uninterruptable Power Supply. 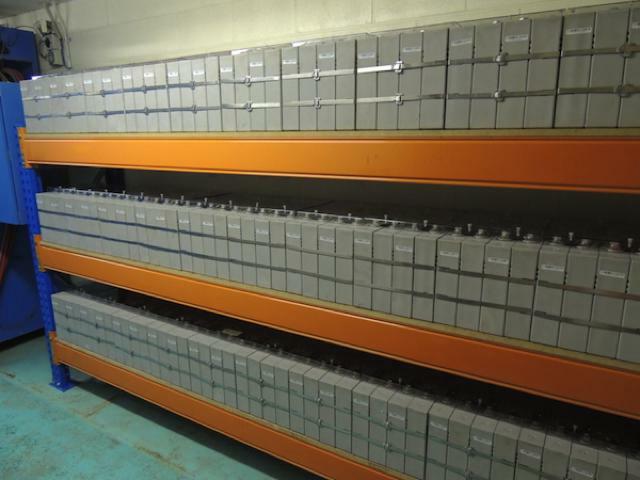 At 420VDC and 168kWhr of storage capacity this is our largest single system to date. In-house project. This is our second Jumbuck conversion. Using a GLE MP20L1 AC permanent magnet motor and 90 x CALB SE100AHA cells. BMS BCU-PEV-90C master unit with display. 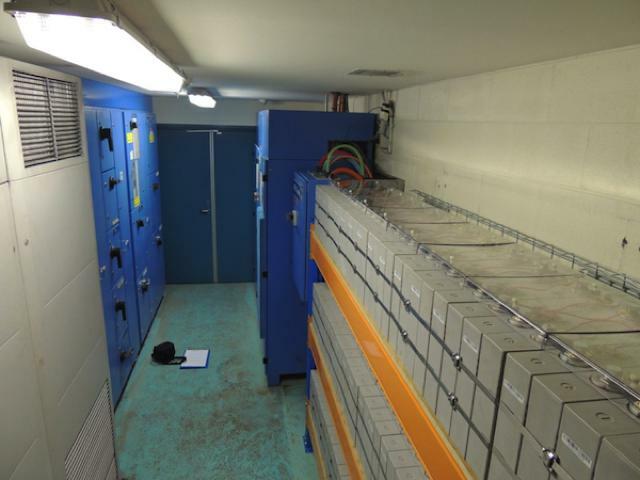 We recently completed a project for an energy utility company. For fringe of grid stabilization, its nicknamed the EV Power Tower. 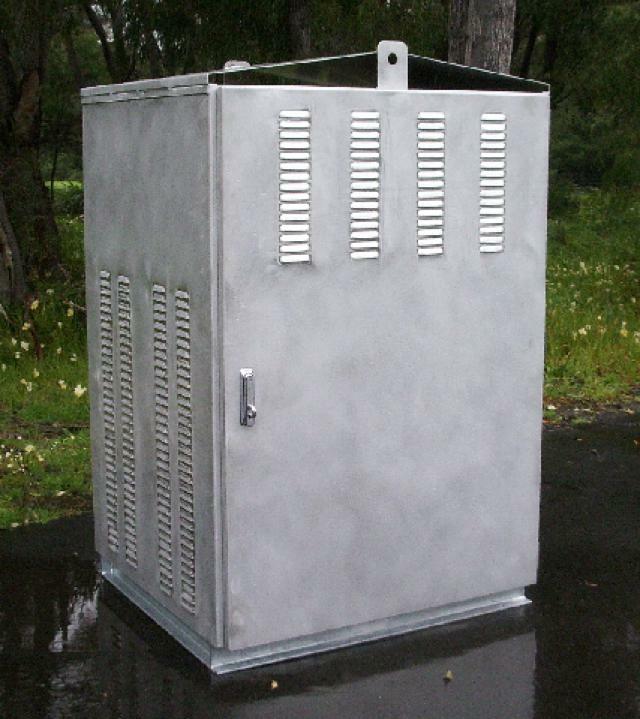 Aluminium Enclosure with front and rear three point lockable doors. Small foot print for the capacity. Lead acid systems could not come near this. 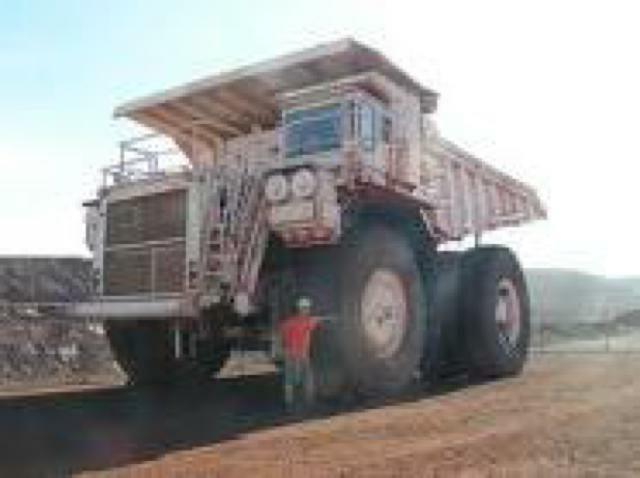 EV Power recently supplied 16 EV Power Paks to a large mining company for telemetry systems. 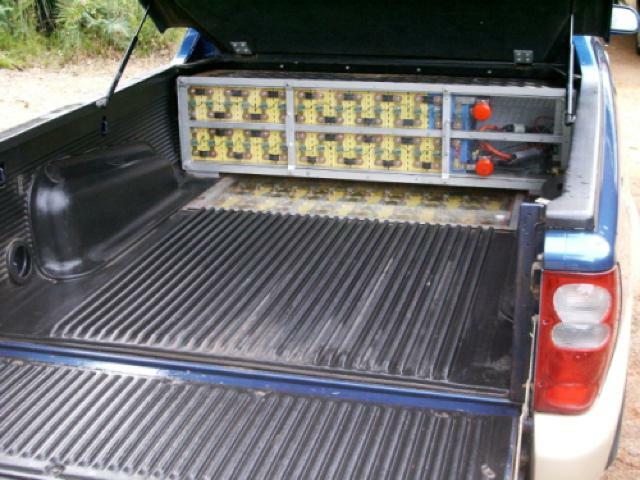 Battery Management – EV Power BMS of course! Instrumentation – Xantrex Pro, Volts, Amps, Ah, time remaining till empty. Gearbox – retained but no clutch, generally only 2nd and 3rd gears required. 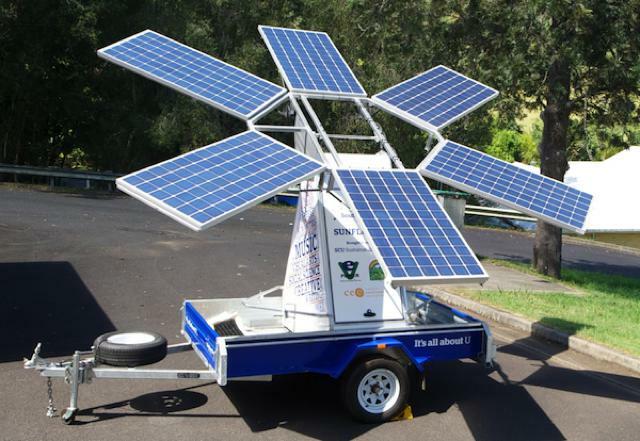 With some modification to the inverter no gears would be required. 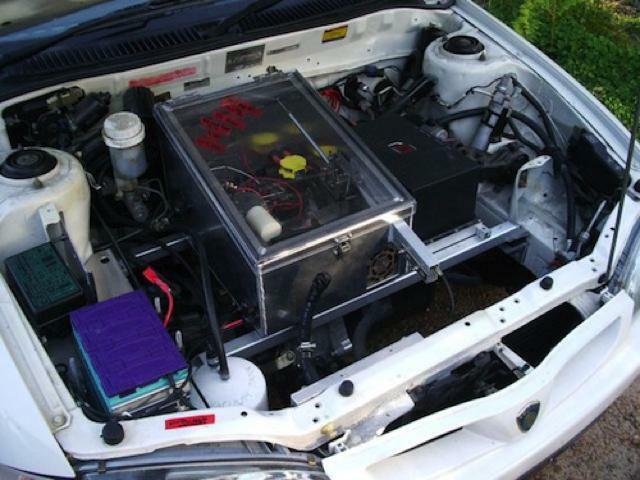 Battery Management System – EV Power of course! 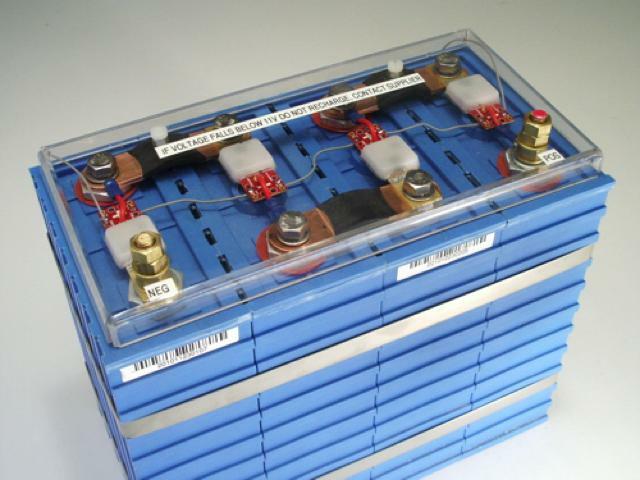 Lithium battery weighs less than half the lead acid battery. Whatever way you look at it LiFePO4 batteries are a clear winner!